Dear Bradford Dance Academy Members , Family , Friends and New Student enquiries. Bradford Dance Academy will be closing for 2018 for development and restructuring. We apologize for any inconvenience and wish you all a successful 2018. We will endeavor to keep you posted on our plans for 2019. Nicole Bradford and the Bradford Team. 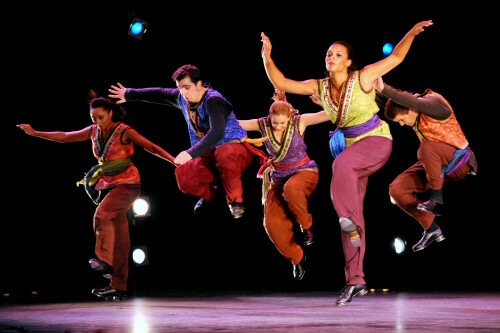 Jazz classes cover many different styles of ultra-modern dance. It combines technical progressions and set exercises right through to expressive and fun group routines. Music varies from Justin Bieber to Beyonce! Tap dancing is a fun and energetic style class suitable for all ages. Your feet become percussion instruments. 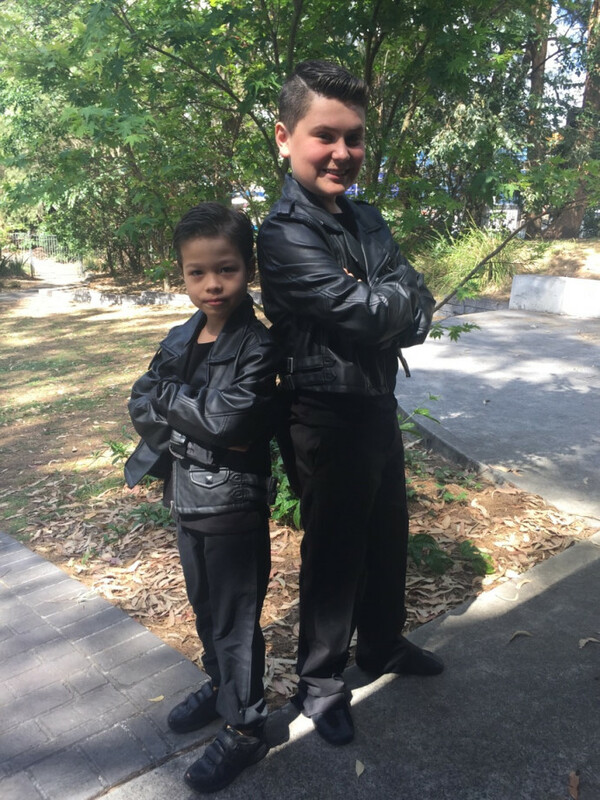 Tap is all about timing and we like to make every class interesting and a bit of a challenge by picking up the steps quickly as possible as if in an audition situation. In this class we explore every style from the more traditional Fred Astaire routines to Harlem and musicals like 42nd Street, Billy Elliot or Tap Dogs. Uniform: Dance wear in BDA colors (red, black and white), Black tap shoes with strap and buckle (for girls) or lace up (for boys). Our ballet classes involve Barre and Centre Practice exercises as well as classical enchainment. This style of dance is suitable for very young students, teenagers and adults returning to dance due to its formal structure. The true dancer forms solid foundation and technique, muscular strength, body line and wonderful dancers poise. Uniform: Girls Black, red or white leotard. Ballet pink tights / sox (up to grade 2). Ballet pink or black tights (grade 3 to adult). Black, red or white chiffon skirt (optional). Clean ballet shoes (elastics). Hair in a neat bun. Boys Black tights or black bike shorts. Black or white T-shirt (tight fitting). Black or white ballet shoes. Contemporary dance explores many different dimensions: patterning, story telling, music appreciation. It combines the strong technical styles of jazz and classical ballet with an aim to develop full fluidity of the torso. The class is suitable for juniors and seniors. Our Bradford Cheerleading classes are designed for students 7 years – 10 years . Cheerleading incorporates high energy commercial Jazz choreography with jumps , turns , gymnastic skills and most importantly, teamwork amongst class members. Under the precise and careful supervision of our Gymnastics Coach , Lauren Healey , the students develop a fantastic knowledge of all that is ‘ CHEERLEADING ‘ . Bradford Dance Academy Stage Classes are for our Students that have reached a Dance Level ready for Performance. 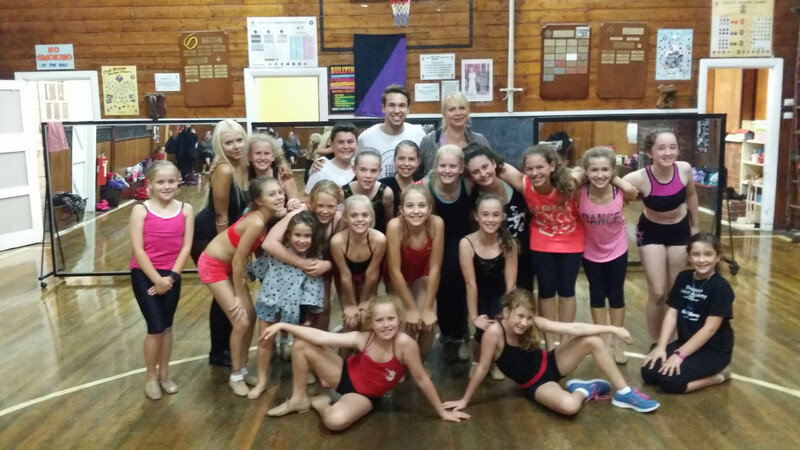 The Students are encouraged to be taking Ballet , Tap, Jazz/Hip Hop and Contemporary classes. Director of Bradford Dance Academy, Nicole Bradford, may select students for the Stage Class at any time throughout the year as they become ‘ ready for the challenge ‘. Our Bradford Dance Academy Drama Classes are held on Thursday afternoons. Some of the skills covered in Drama include : Voice Projection, Public Speaking, Script Writing, On Camera Acting, Group Theatre Sports, Role Play, Improvisation and Teamwork. Students also develop self confidence and self awareness. The class is very energetic , thought provoking and extremely fun ! Appropriate ages for Thursday Drama : 7 years – Open age , Boys and Girls. * Competitive Artistic Gymnastics - 10 years. * Achieved 100% for RAD Ballet Examinations. * 15 Years Training in Ballet , Tap , Jazz. 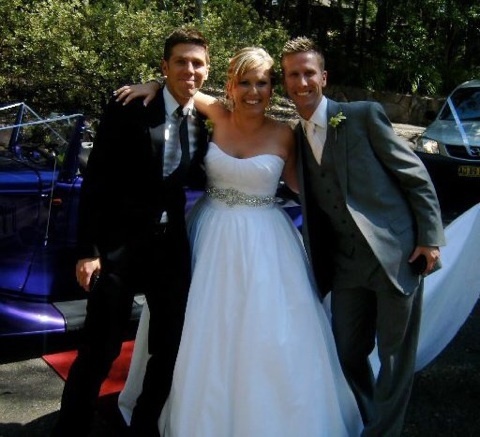 In 2010 Ashley completed her HSC with a 2 year scholarship at The Australian International Performing Arts High. In 2011 she gained a Certificate IV in Performing Arts at Ed5 International. Since completing her studies she has performed at some of Australia's top night venues including Ivy and The star Casino. Ashley has also been featured on Channel V, Channel 10 and in various music videos including Israel Cruz's clip - "Body". Most recently Ashley has completed a 6 month contract overseas with The Venetian, Macau (The world's largest casino). Highlights of the contract included performing in Hong Kong and being filmed for Shanghai TV. 015/2016 : The Village Performing Arts. Full - Time. Certificate IV. Grace Blackford has been dancing for over 12 years and has been with Bradford Dance Academy for over 7 years. Grace teaches Littlies and Junior Hip Hop on a Saturday morning for ages 3-12. Grace has enjoyed dancing since a young age and is now sharing this love of dance with her younger students. Whilst taking classes at Bradford Dance Academy, Grace has participated in various eisteddfods and performances. Grace teaches whilst she studies International Relations at the University of Sydney. Starting ballet at the age of three, studying ballet, contemporary and lyrical. At the age of 13 Skye joined Tanya Pearson Classical Coaching Academy under the Coaching Faculty of Ms Lucinda Dunn, Ms Tanya Pearson, Ms Marie Walton and Ms Julie Wells to name a few. 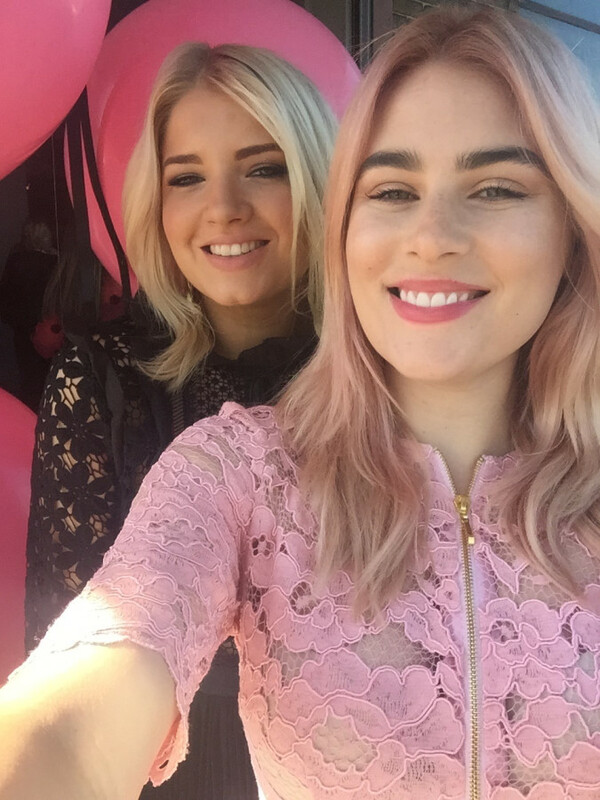 In 2015 Skye was offered a scholarship with Ms Julie Wells for one year private coaching. Ms Wells is also a guest tutor for the Royal Academy of Dance in London. In 2016 Skye was offered a part time ballet position with Ecole Coaching Academy. In 2017 Skye started full time ballet with L’Amont Ballet Studio under the guidance of Ms Suzanne Way. I have been dancing and training in acrobatics since the age of 2. I studied dance and drama at the Australian International Performing Arts High School where I then went on to perform in many MTV film clips. I have performed for the Madden Brothers, M.I.A, Justice Crew, B.p Major and have been a live dancer on X-factor grand final. I have been teaching acrobatics for 8 years now and it is one of my favourite things to teach and watch. I have danced in tv commercials, for a Lorna Jane promotion and competed in many eisteddfods interstate, local and overseas. 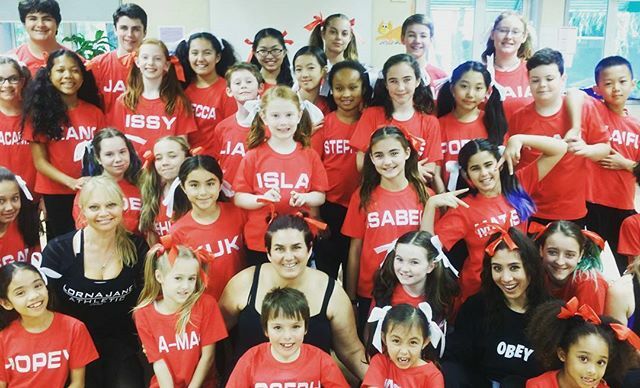 Cassie has worked as a dancer on a large variety of TV showsincluding X-Factor,TV Week Logies supporting FLO-RIDER, Doctor Who Symphonic Spectacluar, Kerri-Anne Show supporting Kate Alexa, Dancing with the Stars (Boy from Oz Cast). 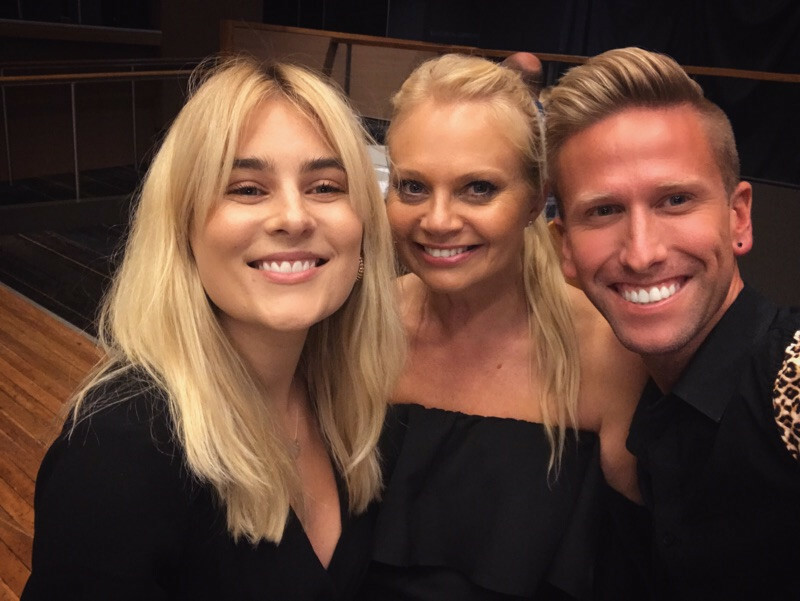 She has also worked in stage and theatre including Sydney Showboat Follies, Funny Gorl, The Boy from Oz- Sydney/Melbourne Tour, Sydney After Dark, Las Vegas and Norwegian Cruise Lines, USA. Students of Bradford Dance Academy past and present. Please complete the form below and we will be happy to answer your query. How do I know what style of Dance my child is suited to? We recommend that children participate in all different dance styles and then make a choice depending on preference and ability. How do I know what classes are suitable for boys? Tap !! Tap is extremely popular with boys ! They can be loud , energetic, strong , rhythmical ! But to be honest , Boys enjoy all Genres of Dance just as much as Girls do ! Hip Hop is popular for boys . A week of trialing all different classes at Bradford would be beneficial to Boys and also to indecisive girls who are new to Dance. What classes are available for adults? Bradford Dance Academy currently offers Adult Classes in Ballet and Tap. What classes can you offer in preparation for HSC dance? The most important Genre of Dance needed for HSC Dance is Contemporary. Generally, HSC Students are required to ‘ perform ‘ and ‘ Choreograph ‘ a Contemporary piece for their final work. What classes at Bradford dance academy are most beneficial for students doing a gifted and talented dance program at high school? Contemporary and Ballet are the Styles of Dance that are essential in preparing students for a ‘ Gifted and Talented Program ‘ at High School level. Contemporary and Ballet provide the technical foundations for the Dancer in training. What age does my child need to be to start dance classes? The recommended age for boys and girls to start dance is 4 years of age. This age is great preparation for starting school , giving children a year of dance prior to primary school. However, at Bradford Dance Academy we DO take children as young as 3 years in our Saturday ‘ Littlies Ballet Class ‘ as long as the child feels comfortable and is following instructions. We find some 3 year olds are just ready for Dance ! 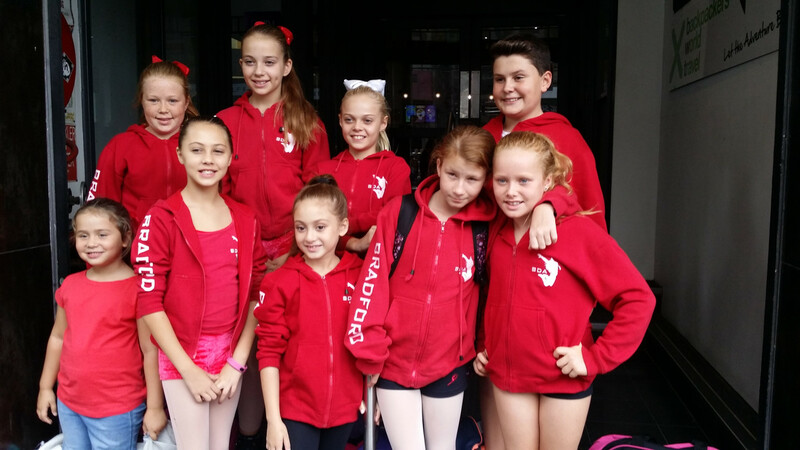 Does Bradford Dance Academy offer Performance Opportunities? 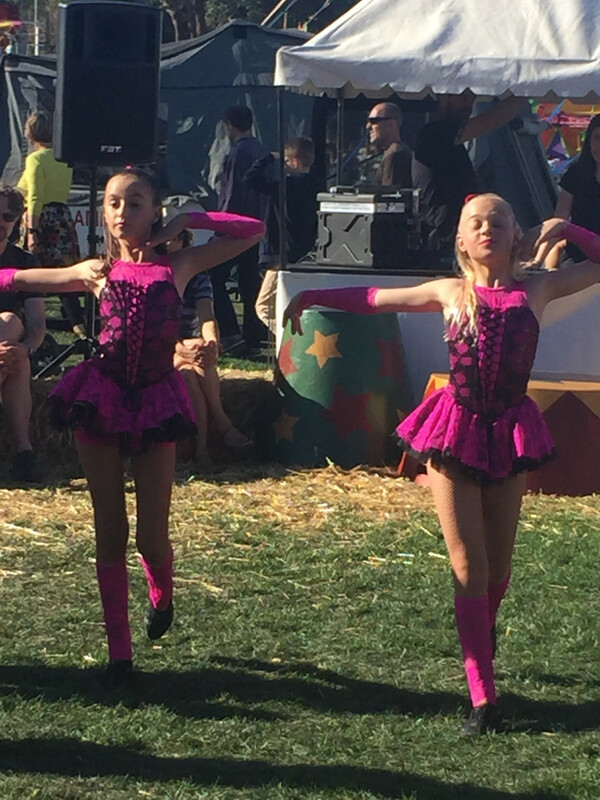 Bradford Dance Academy has special Stage Classes that are always preparing for upcoming performances . All students may have the opportunity to Audition for Stage Classes. Does Bradford Dance Academy have a Uniform ? Yes Bradford Dance Academy does have a Uniform. This varies with class choice. 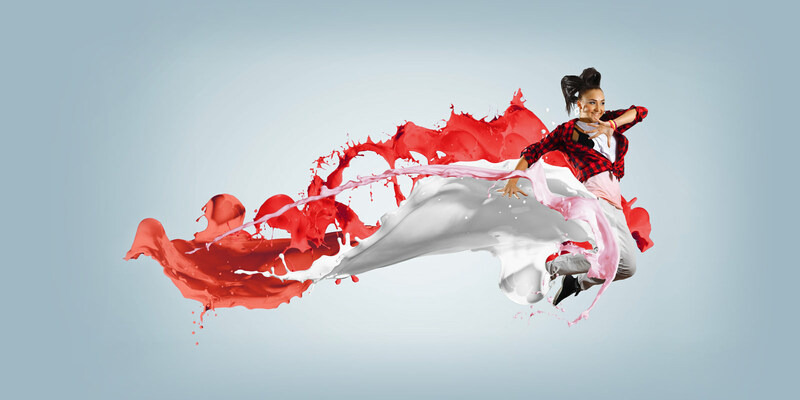 Dancewear must be in the colours Red/Black/white . Any combination of these colours is acceptable. Tights/Shorts/ Midrifts / baggy Pants/Runners / Caps. How Do I Pay For Classes at Bradford Dance Academy ? Bradford Dance Academy Classes are held within the School Term. Classes are paid by the term. Payment due by Week 2 of the School Term. Payment Methods : Cash, Credit Card, Internet Banking. Please contact us with your query. We are always happy to hear from you.